PESA’s 2019 Executive Leadership Program, sponsored by the Emerging Executives Committee, launched its fifth consecutive year in February. The Executive Leadership Program provides an external opportunity for high-potential personnel to engage in a structured year-long program that develops leadership skills in preparation for the responsibilities of future roles. The program provides one-on-one executive coaching sessions, mentorship, and networking. “The value our member companies receive from this program is apparent as we continue to receive increased registrations from our member companies each year,” said Leslie Beyer, President, PESA. With more than 350 program participants from 60 leading companies to date, PESA continues to elevate the industry by investing in the next generation of industry leaders. The Executive Leadership Program has become an essential tool in PESA Member Company professional development strategies. Offering three paths, Advanced Business Development, Engaging Leadership and Executive Presence, the 2019 Executive Leadership Program provides professional development and training for member company high performers. Through the program, participants cultivate relationships with peers and leading industry executives. New this year, the Advanced Business Development course helps to develop the participants’ skills, behaviors, and confidence to enable them to speak to client needs and develop long-term relationships. 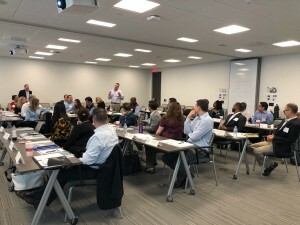 The training provides participants with a range of business development and selling tools and techniques that will enable them to adopt a confident consultative and solutions-based approach when selling. The Engaging Leadership course focuses on identifying strategies to create a collaborative, resilient workplace. Team-building exercises and presentations aim to directly align attendees with their organization’s vision in a positive, productive way. 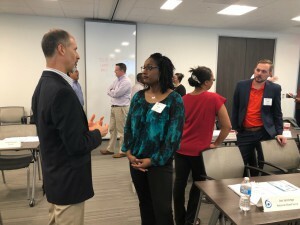 Geared towards entry-level and experienced leaders alike, attendees develop strong communication methods and explore the difference between being a leader and a boss. Interactive exercises highlight the importance of giving and receiving feedback to grow both personally and professionally. Through this course, participants identify their personal leadership style and calibrate it to positively influence others. As a way to reach a broader audience in West Texas, PESA added an Engaging Leadership face-to-face session in the Permian. 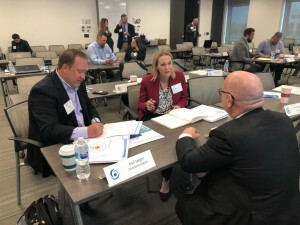 Graduates of the 2018 Engaging Leadership sequence, which included participants from more than 20 Member Companies, continued their leadership development with enrollment in the 2019 Executive Presence course. The Executive Presence course focuses on building personal brands to expand leadership competencies to lead and motivate others. Participants collaborate to establish core values and ethics to elevate their presence and increase their influence within the industry. Through lectures, group discussions, case analyses and experiential coaching emphasizing self-reflection, this course helps already experienced leaders further develop their personal vision through creativity and innovation. Pat Lipovski, International Executive Specialist, Envision Group, led the initial seminars with co-facilitators from Envision Group, an innovative global leader in corporate advising and coaching. The seminars were held at Caterpillar Oil & Gas. 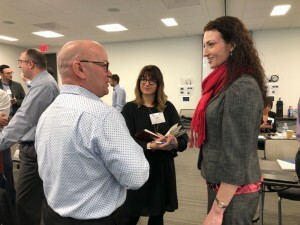 In addition to the seminars held in February, June, and September, participants must also partake in leadership development outside their company and attend two PESA Leadership Meetings such as the bimonthly Leadership Forums. One of the most important elements of the program is the mentorship provided by the PESA Board and Advisory Board Members, giving participants a unique opportunity to gain strategic career advice and develop valuable relationships with industry leaders. “The feedback we’ve received reflects increased productivity, better employee engagement, a higher-quality of decision making, and an avenue to nurture future leaders.” – Participating Member Company Executive Leadership Team.